Whether for writing online content regularly or for your institutional projects, a spell checker is a must these days. You are a native English speaker or not, these tools are useful for all. These online spell-checking tools ensure high-quality content with flawless English. English is one language that’s highly spoken across the world. It’s especially important for business relations among countries. It has been recognized as the official business language by many countries due to which there are experiencing increased collaborations. While perfect English helps improve your image where it requires, it also offers many advantages even to businesses. You don’t want to produce content with grammatical or syntax errors, would you? If you want your content to be liked and appreciated by all, you have to write it in meticulous English. The piece should convey your feelings clearly, for a better impact. Since, you cannot be an expert in grammar overnight, using a spell check software can help you refine your content. Online grammar checkers are the perfect way to produce polished content free of grammatical, syntax, or punctuation errors. Let’s see some of the best free spell check software for Windows. The free version of Grammarly is available as an extension on Chrome. It makes sure that the final content written by you is effective, easy to read, and error-free. Moreover, adding the app to Chrome helps keep a check on your spelling and grammar while working on Gmail, Facebook, Twitter, LinkedIn, or Tumblr. It can also be used anywhere else you write on the web such as blogs, blog comments, etc. On signing up, you can also opt to receive weekly emails with personalized observations and performance stats. This is one of their most liked features. What’s more? For those working on a larger content, can also create and store all of their documents in the newly developed online editor. Ginger Grammar Checker is a super useful spell-checker software that not only corrects any spelling mistakes but also refines your grammar. This is especially useful while writing emails, chats, on social media, and on other similar platforms. This free tool checks on spelling and grammar errors based on theories, such as full-sentence context and text-to-pronunciation. While it helps correct grammatical and spelling errors, it’s especially helpful for people with dyslexia or anyone with learning issues related to English speaking and writing. It can be installed locally on your PC, it’s easy to set up and requires an internet connection to work. Best of all, it’s also easy to use and configure. Reverso can correct even the heaviest of mistakes and refine your text content with a high-level of speed and accuracy. It is also popular for its online translation service that features dictionary and pronunciation services. The grammar service though helps correct both grammar and spelling mistakes. It comes with a simple interface where you need to simply paste your text content and start analyzing, pressing the check button. 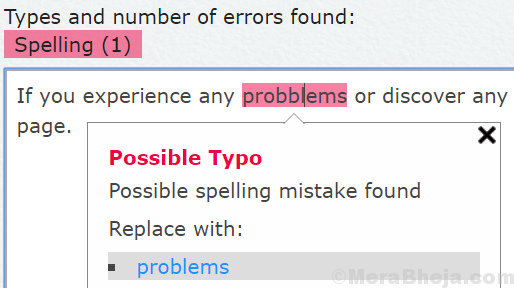 Any errors identified are highlighted with the syntax feature. You can click on these errors to view and choose the suggestions. It’s a steady spell-checker software that detects spelling and punctuation mistakes, and any other errors with finesse. It also offers suggestions for misused words, parts of speech, use of comma, hyphens, and more. The best part is, it can be used web browsers, as a Chrome browser extension, and even as a mobile browser. Paper Rater is a well-known spell-checker software in the category that offers immediate results. The submissions you make, for instance, an essay or a research paper, are checked in real-time. The results are generated in as fast as 15 seconds of submission. It’s cloud-based software that pulls up errors from deep within, related to syntax and text structure. And, you do not even need to register, login, or download. This tool offers automated grammar check, proofreading, and automated scoring with instant results for your text. Its one of the fastest spell-checker tools offering advanced results. 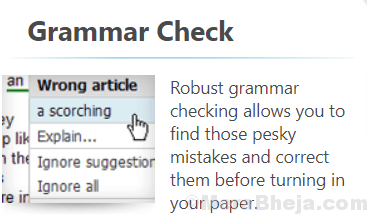 Whether it’s a laptop or a mobile, this grammar checker tool is compatible with all devices. All you need is internet connectivity and you can access it anywhere. WhiteSmoke checks any errors with your grammar, punctuation, sentence structure, and writing style. It’s based on a powerful and skilled algorithm, AI, and statistical information to detect the mistakes in the English content in your document. It’s compatible with all major platforms, such as browsers, Outlook, MS Word, etc. It can also be installed on your Android keyboard to help you avoid typos and spelling mistakes in form of auto-correction. Not just that, it can also detect duplicate content with its plagiarism checker that may negatively affect your rankings and influence. Moreover, the tool also offers a translation service that helps translate your content in over 45 languages. This software helps improve your writing and saves time on editing. It’s a language checker program that performs contextual spell checking, advanced style checking, and intelligent grammar checking. It works on artificial intelligence and natural language processing technology that helps you detect your writing mistakes. It also offers suggestions for improvement. You can access this on WordPress, and libraries, and is also available as add-ons, plugins, and web extensions for different platforms. Apart from analyzing content for spelling, style, and grammar in your browser, it also checks your tweets, detects grammatical and spelling errors in your email, social platforms. The software also checks English, French, German, Portuguese, and Spanish text for errors in your English writing. It offers services for spelling and grammar checking. All you need to do is to add your text content and hit the “Check Text” option. Different types of errors are highlighted in different colors with an underline. As you click on the error, details show up with suggestions and the option to change. It can also detect style errors with related suggestions. The free version comes with more than 1700 patterns for detecting errors in English and more than 2400 patterns to detect errors in German. It’s also available as a Google Chrome extension. 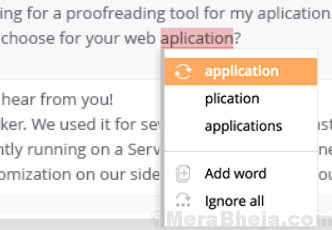 WebSpellChecker is an efficient and well-known proofreading application that uses cloud service to detect grammatical and spelling errors. It’s easy to implement and comes with excellent technology and responsive support. It can be easily integrated with the platform you are using and can be set up and running in below 30minutes. It covers 168 languages wherein 16 languages are covered by default and 152 are additional. The library gets updated with some new language every minute, therefore, the software ensures that your spelling is updated using regular dictionary updates. It’s one of the leading spell-checker software in the industry that highlights long, complex sentences, and the usual errors. Whenever a sentence I seen highlighted in yellow, you must split or shorten its length. For the ones highlighted in red signify that the sentence is heavy and complex that readers may get lost trying to understand the logic. 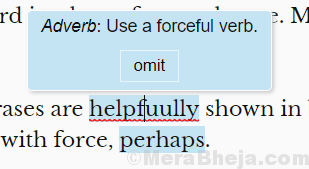 You can edit such sentences to erase the red highlight. Then there are words that are highlighted in purple which needs to be replaced with shorter a shorter word. Place the mouse on it to view the suggestions. 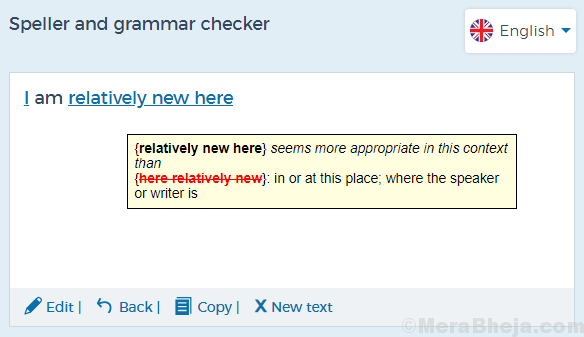 Any errors in adverbs and weakly formed phrases are highlighted in blue. You can do away with them by picking up with force. Phrases that are highlighted in green are marked to signify passive voice that can be formatted with the toolbar. You can either paste in something you’re working on and edit then and there or, hit the Write option to create new content. SlickWrite helps you write better by checking your grammar in a matter of seconds. It’s a robust application available for free and that helps you check your writing for grammar errors, possible stylistic errors, and other features of interest, easily. From a blogger, novelist, SEO expert, to a student preparing an essay for his school, this app can help improve your English writing efficiently. Curious? You can either try the interactive demo or run a check on your own document. The best part is, it does not need to be downloaded. No installation is required either. Its grammar checking service is amazingly fast, offers customizable feedback to fit your style, add influence to the reports, helps enhance your grades, and lets you engage your audience with great content. Moreover, they do not redistribute your documents and maintain your privacy to the utmost. ProWritingAid works as your personal writing coach for you. It claims to be a grammar guru that also comes with a style editor and writing mentor all in one package. The software helps you achieve perfection in your English writing by highlighting style issues along with any grammar errors. It then compares your content with the best writers in the category. it basically offers the best mode to express your ideas as a writer. 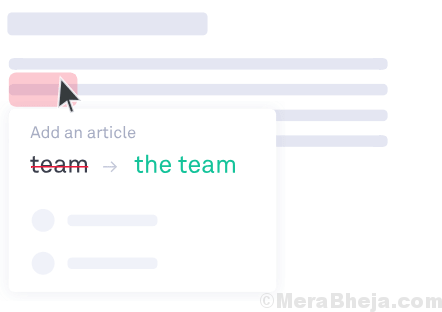 The tool looks up for any anomaly in your text content, such as repetitiveness, ambiguous wording, sentence length shift, over-reliance on adverbs, passive voice, extremely complex sentence formation, and much more. It ensures that you have an error-free content without any spelling or grammatical mistakes. The word explorer tool or the contextual thesaurus tool enables you to detect the right words to help you express yourself clearly. The report improvements generated helps writers view and remove any errors, habits, or usual mistakes on their own. This one is another great spell-checker tool that does a lot than just checking spelling errors. It also detects any errors in basic grammar and sentence styling in your English writing. 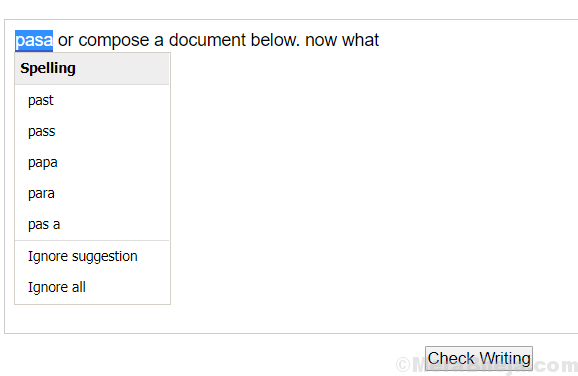 You simply need to add your text content in the empty box and hit on the “Submit” button to run a check. Moreover, you can choose from several different dialects. Not just that, you can also move the mouse over the error to check the details explaining the error with some possible suggestions for correction. 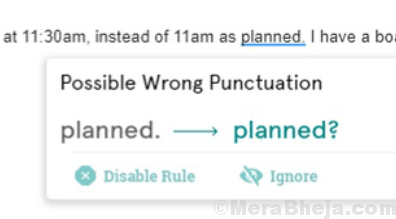 If you want, you can also opt for autocorrect option by clicking on the checkbox below to correct errors automatically. SpellCheckPlus is known as a grammar checker tool that detects common errors in spellings and grammar in your English writing. Punctuation, capitalization, apostrophe issues, and more are also checked by this tool. Once it has completed checking the text for errors, it offers a summary and organizes the errors in categories, such as spelling, punctuation, word form, word choice, and agreement. The software highlights the spelling mistakes in red, and the errors in grammar are marked yellow. While it highlights the errors, it also offers a simple and clear summary for them. it basically helps you understand why the errors are happening in the first place. You are allowed to manually fix the errors helping you work on the feedback. It’s a powerful web-based program that can search for around 6239 grammar errors in as less as 0.1444 seconds. Therefore, it proves to be one of the fastest grammar checking applications around. It’s especially good for academic documents. The application is designed to identify specific mistakes in a document. It looks for sentences using a passive voice that do not sound logical and make sentences difficult to read and understand. It also allows users to replace words with easier words or phrases. In addition, it looks for sentence length issues, transition words in documents, nominalized sentences with vague nouns, and more. Correct grammar, spelling, style, or sentence formation are some of the major aspects of writing that requires more focus. To create high-quality content that can engage the audience, you need to correct these errors. So, find your best free spell-checker software for Windows from the list and get praised for your English writing. I used Grammarly most often. It is very easy to use.